Dr. Jeremy Kirchman, the State Museum's evolutionary biologist, will lead the presentation, and Dr. Reid Ivy, creamery manager for the award-winning Old Chatham Sheepherding Co, will explain how cheese is made. Together they will consider the evolution of mammals, milk production, and the ingenious ways that humans (with help from bacteria) have used this mammalian adaptation to create some of our richest culinary pleasures. Dr. Ivy and Drue Spallholz from Albany's Honest Weight Food Co-op, will lead the audience in a cheese tasting. Lynn Beaumont from Albany's Cheesecake Machismo will be on hand to describe how to make cheesecake, and will offer the audience samples of cheesecake made at her shop. Fresh local milk from Clarksville's Meadowbrook Farms Dairy will also be available for sampling. The program starts at 7 pm on February 8 (that's a Wednesday). Tickets are $5 at the door. You don't have to be a vegetarian or a botanist to appreciate the diversity of life forms in the Kingdom Plantae. Chef Timothy Warnock, corporate chef for U.S. Foodservice, uses ingredients from across the botanical Tree of Life to create the most biodiverse meal you have ever seen. Dr. George Robinson, professor at the University of Albany, guides you through the 500 million-year-old plant Tree of Life. Here's some video of last week's session about vertebrates. We heard from a few people who went last week that these Tree of Life events are fun. But if you want to score samples (and who doesn't? ), it pays to sit up towards the front. And eating a snack beforehand is probably a good idea, too. Tomorrow's session start at 7 pm in the NYS Museum's Clark Auditorium. It's free. There are two more sessions this month: Invertebrates (Feb 18) and Yeast & Fungi (Feb 25). 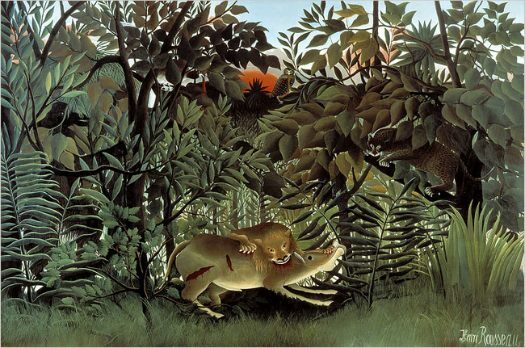 The Hungry Lion Throws Itself on the Antelope by Henri Rousseau. At the close of the 19th century, artists freely explored the innovations of Impressionism by expanding on the use of color, light, subject, and texture. The 2008 film series examines how the Post-Impressionists helped to usher in a new era of art by paving the way for Modernism. Today's film is about Henri Rousseau. The next three weeks will cover Paul Gauguin, Gustav Klimt, and Edvard Munch. Each film is 50 minutes long and will start at noon in the NYS Museum's Huxley Theather. And, yep, you can bring your lunch. I'll be back... to deodorize. 1. The stuff -- whatever it is -- is called "Terminator." It sounds like Formula 410 or something. 2. 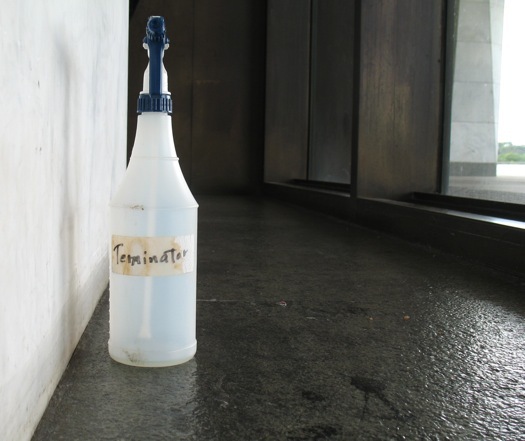 Something called "Terminator" is just randomly sitting out in the museum. We poked around a little bit online to try to find out what this mystery agent might be, and this product looks like a good candidate. "A powerful and effective deodorizer and all-purpose cleaner with a crisp, fresh scent that will linger for days. Eliminates odors on contact. Ideal for use in locker rooms, meeting rooms, bathrooms, classrooms, shower rooms, closets, chutes and sick rooms." Yeah, man, he's the groovy candidate. Heads up: the Latin American and Caribbean Art exhibit at the New York State Museum closes in two weeks. We wouldn't go out of our way to see this exhibit as it seems the folks at MoMA were pretty stingy in deciding which "selected highlights" from their collection would make the trip up the Hudson. But we did enjoy seeing a few pieces, including Botero's Mona Lisa, Age Twelve (there's a Diego Rivera, too). And one more stop to make -- the Cohoes Mastodon is back on display. It's way in the back of the natural history section. Any one of these things alone isn't really worth the trip, but all three aren't bad on on a rainy day. 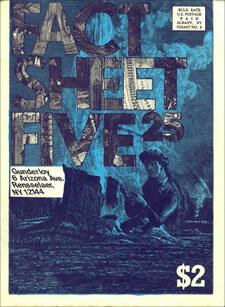 One of the biggest and most comprehensive collections of zines is located right here in the Capital Region. And it's at... the New York State Library? Yep, the New York State Library -- down on Madison Avenue. It has a collection that spans everything from science fiction to punk rock. 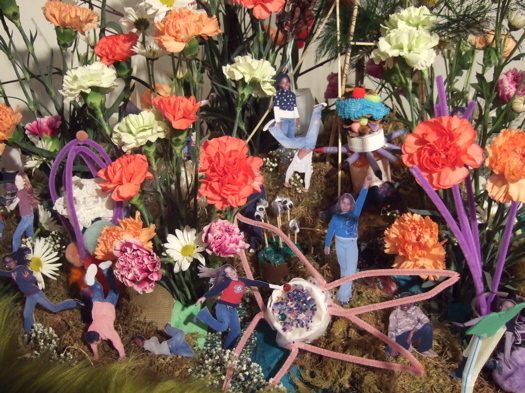 Yes, those are little people in the flowers. Yes, we know it's snowing. Yes, we know it's cold. But put that aside for a moment. If you want to forget that we have the rest of February and all of March left to face, you might want to check out New York in Bloom at The New York State Museum. Two of the moms at today's nurse-in at the NYS Museum. Kristen Kelly was back at the New York State Museum today. And she brought along a few friends. The young mom who was asked to stop nursing her child in public at the museum earlier this week was part of a "nurse-in" there this morning. A handful of young mothers and their nursing infants came along, and when the kids were hungry, they ate. The moms involved said they were treating it more as a show of support for Kristen and a day at the museum with their kids than a protest. They just wanted to remind people that nursing moms should not face the kind of discrimination that Kristen did. The director of the NYS museum has told local media outlets that the museum has no policy prohibiting breastfeeding anywhere in the building.